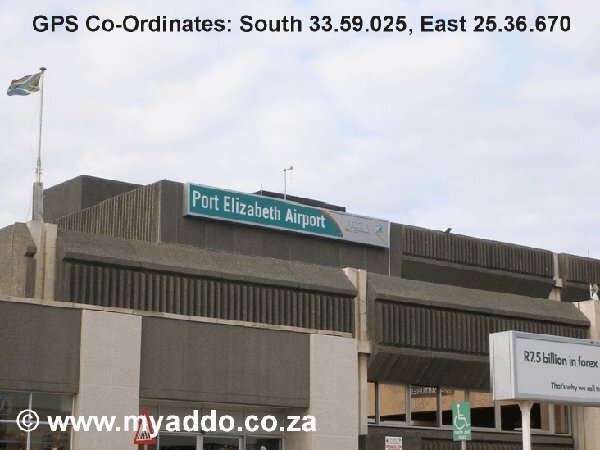 Starting at the Port Elizabeth Airport (GPS Co-Ordinates: South 33.59.025, East 25.36.670). 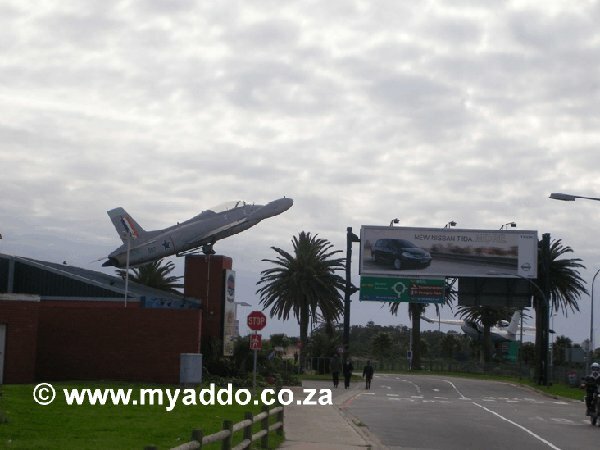 As you leave the Airport you will see a fighter jet on your left hand side mounted on top of the Aviators Pub and a transport plane on the Right Hand Side. 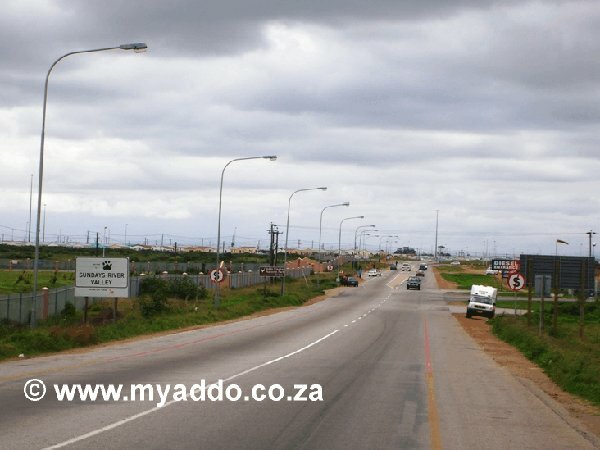 Stay in the Right Hand Side lane in order to exit the round about, right, onto the M11 East. 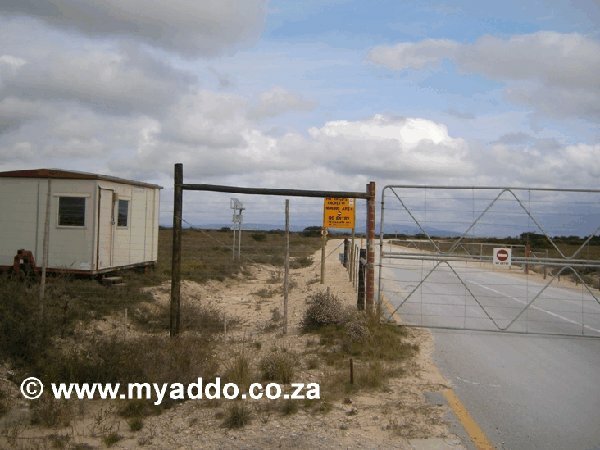 Stay on the M11 for about 2 kilometres, past the Military Base on your Right Hand Side. 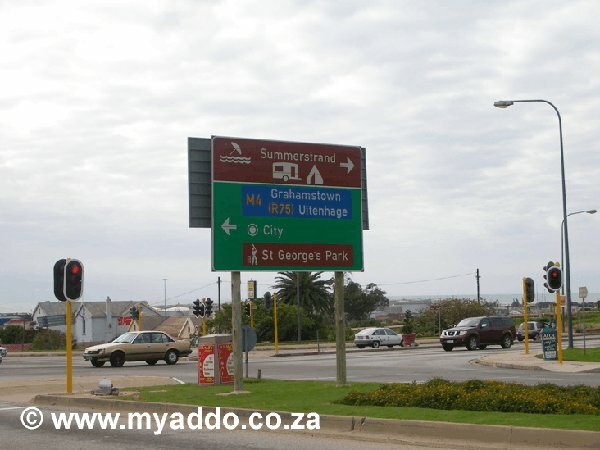 At the first set of traffic lights take the left hand side exit and follow the sign boards saying St Georges Park (Port Elizabeth’s world famous cricket ground). 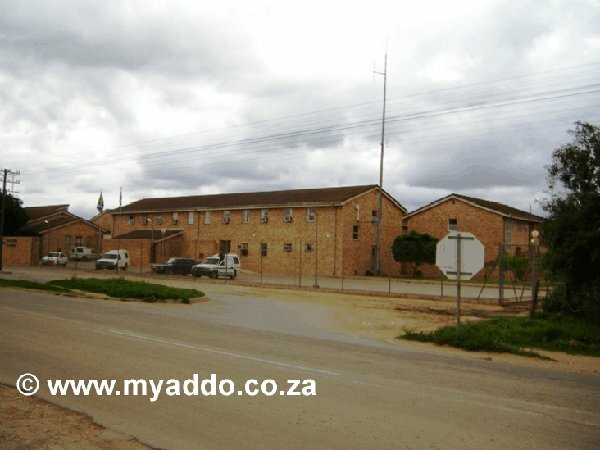 A short drive past the South End Cemetery on your Left Hand Side and the Humewood Police Station on your Right Hand Side will bring you to another small round about. 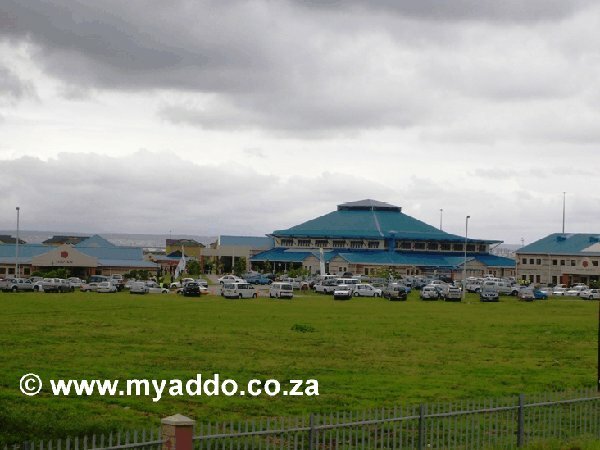 By staying in the right hand side lane you will exit the round about to your right hand side and be in Mitchell street with the Police Station on your right hand side and traveling towards the sea. 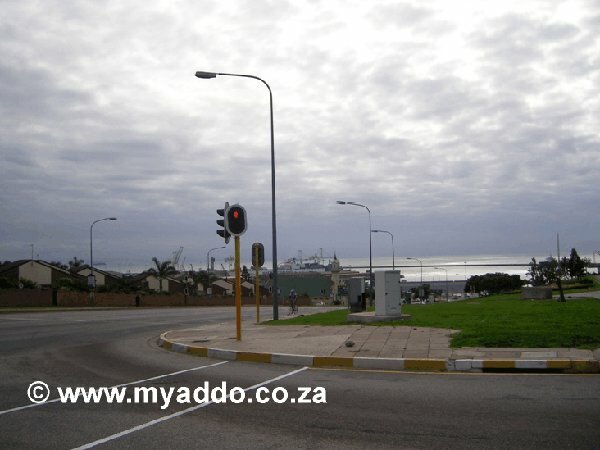 Mitchell Street curves to the left and down to meet with the Traffic Lights at Walmer Boulevard. 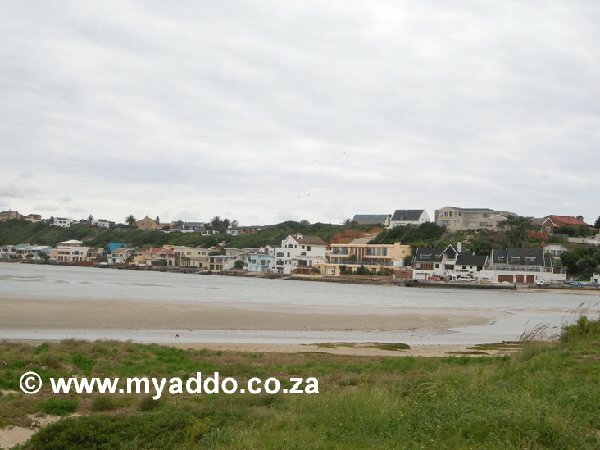 To your Right Hand Side is the South End Fire Station and the harbour. 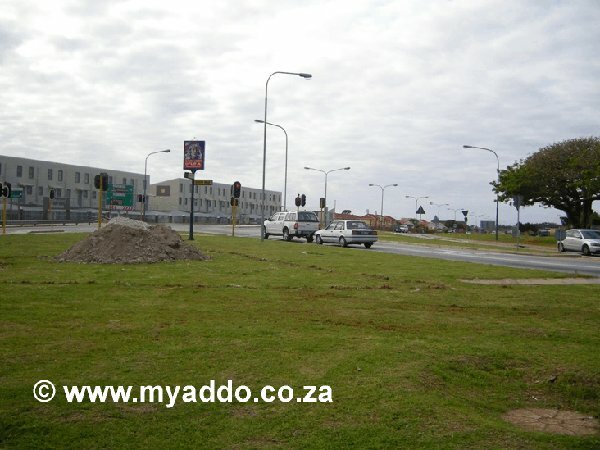 Turn right at these traffic lights and stay in one of the two left hand side lanes, the sign says M9 City. 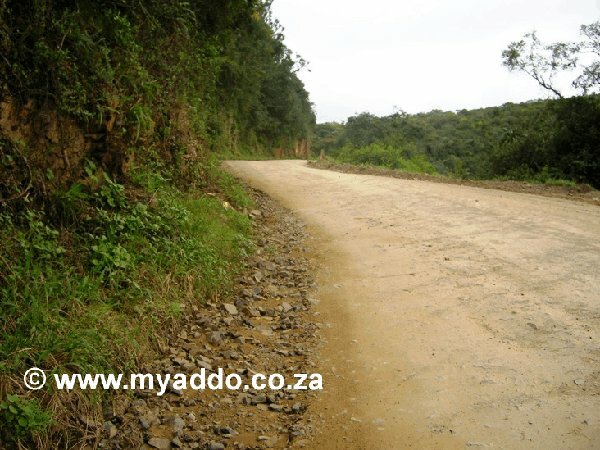 At the bottom of this road about 500 metres down is another traffic light controlled intersection. 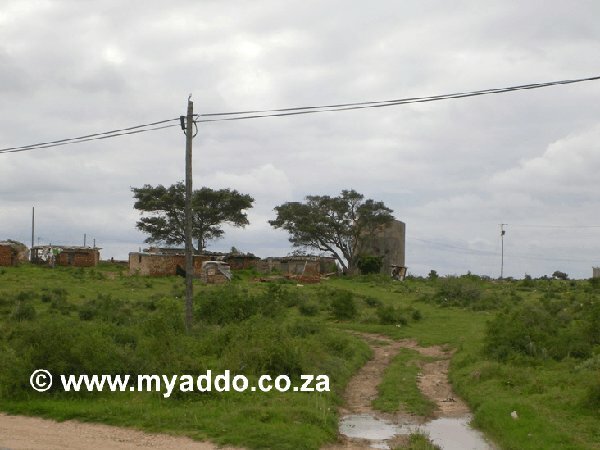 On your left hand side is the South End Mosque. 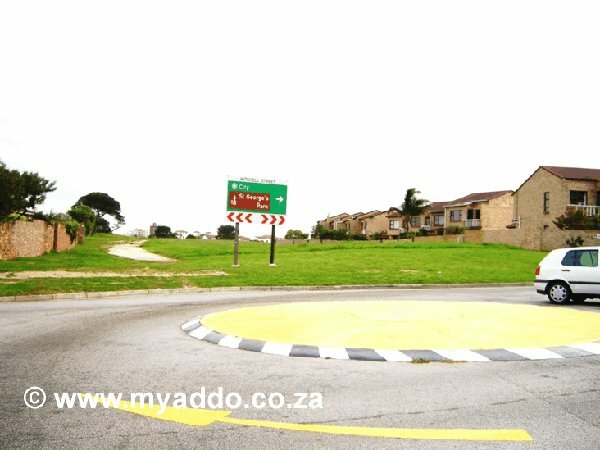 Turn Left onto the freeway (do not go down the hill and stay in one of the outermost two lanes on the right hand side). 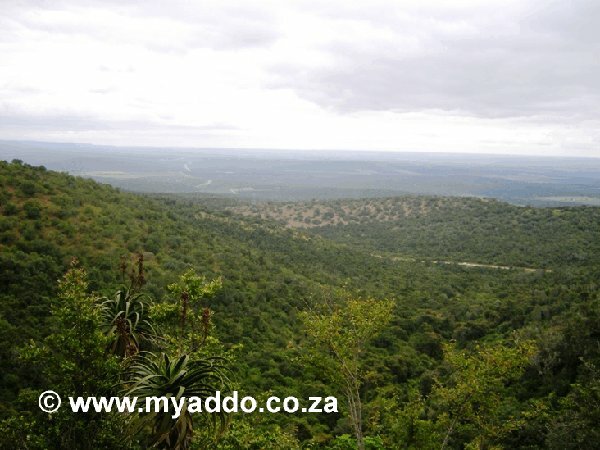 The freeway takes you to the M4 (Grahamstown) and N2 Routes. 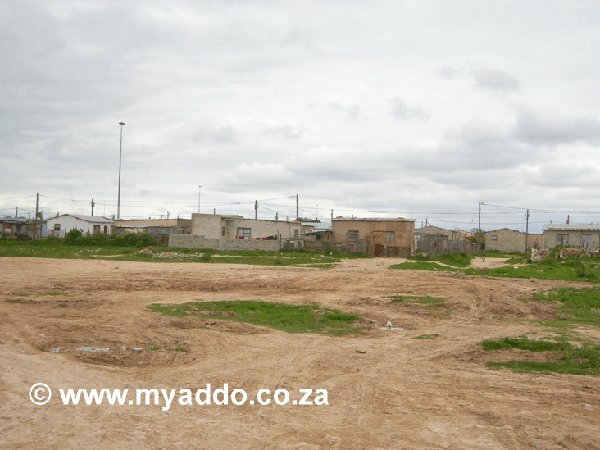 You should see the top two thirds of the Campanile sticking up above the freeway on your right hand side after one kilometre. 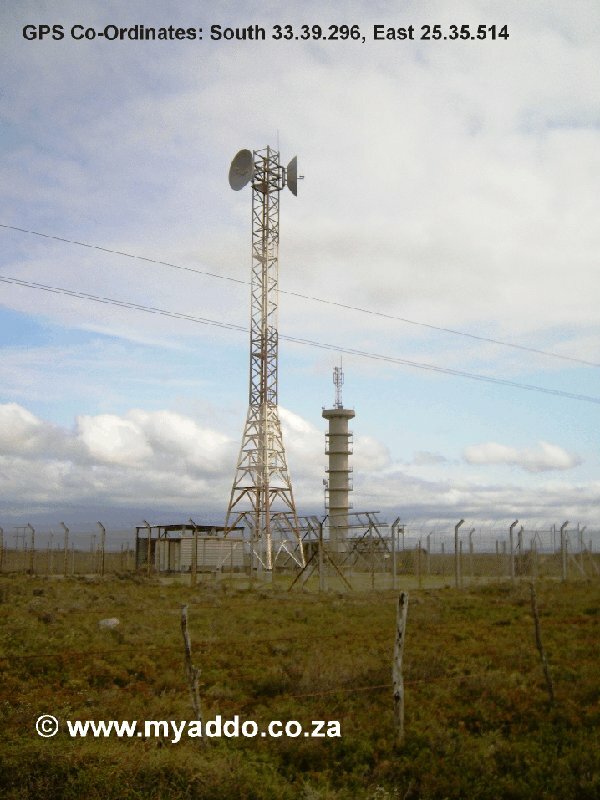 (Campanile GPS CO-Ordinates: South 33.57.670, East 25.37.462). 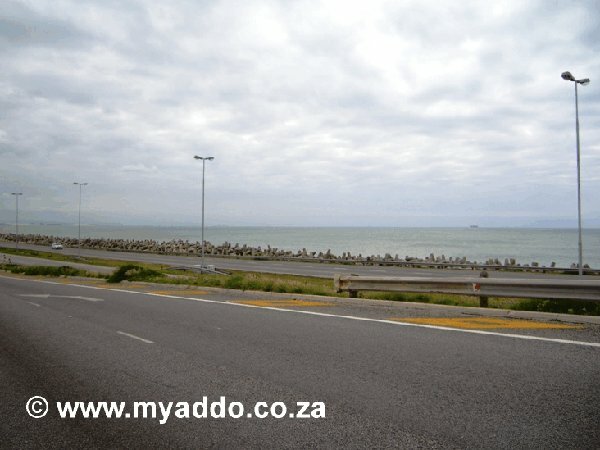 The sea will be on your right hand side. 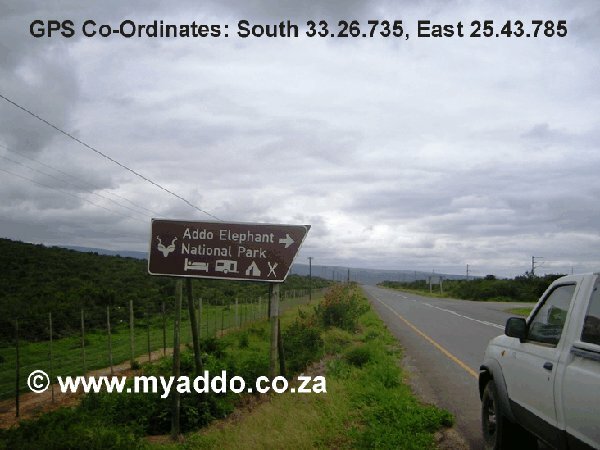 Continue on the M4 (Grahamstown) / N2 (Deal Party) freeway staying in one of the two lanes on the right hand or outermost side. 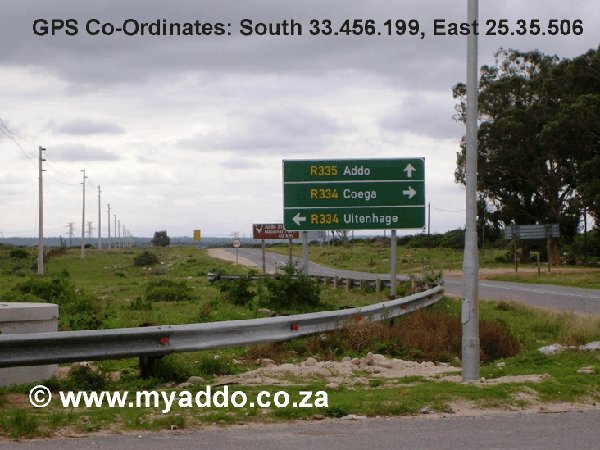 The sea will be on your right and you will pass turnoffs to the left named, Russel Road, Mount Road, Uitenhage Road which all take you into the centre of Port Elizabeth. 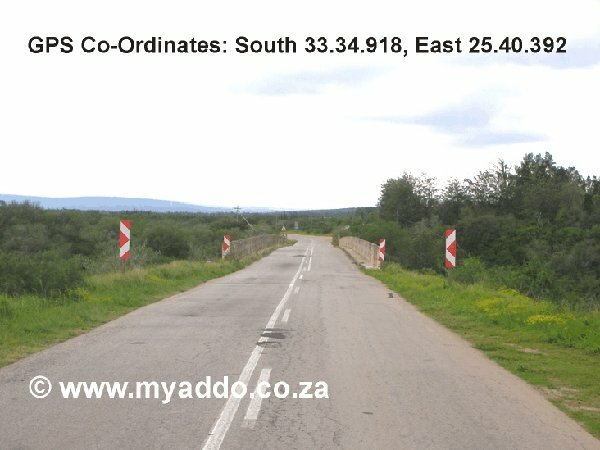 Just after the North End Jail on your Left Hand Side the road will begin to split into three routes – Left hand lane to Cape Town, centre lanes to Deal Party and Right Hand Side lanes to Grahamstown which is the N2 East. 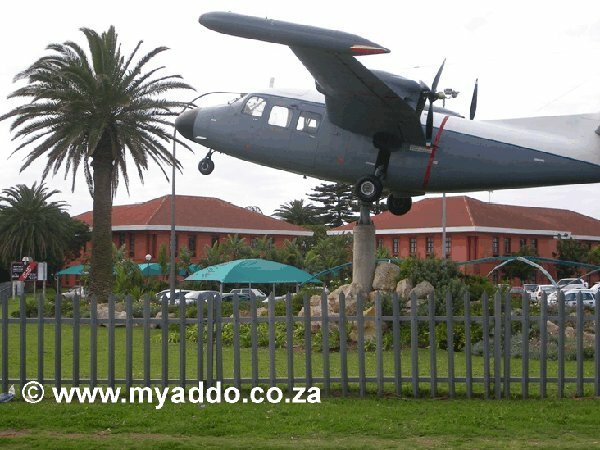 Stay in the Right Hand Lane and take the Grahamstown lane. 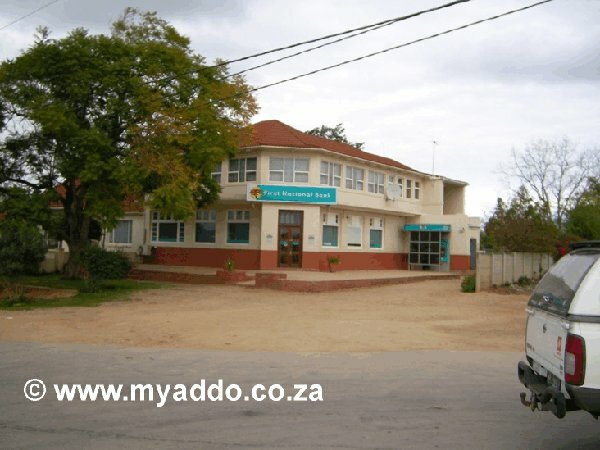 (GPS Co-Ordinates: South 33.54.742, East 25.36.890). 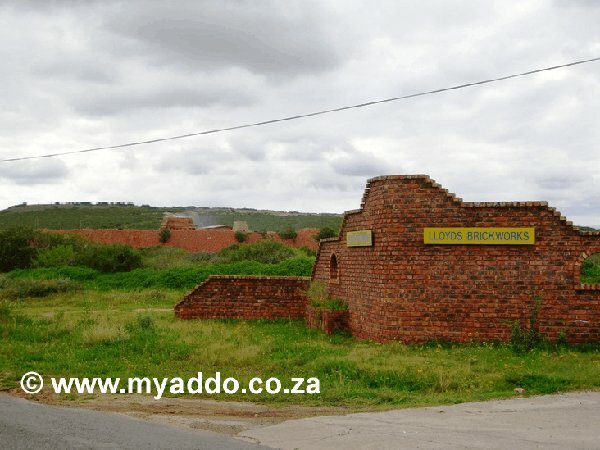 This lane will take you under a bridge, through a reclaimed area of land formerly known as Smelly Creek) and closer to the sea with the dolosse on the right hand side and a container park on the left hand side. 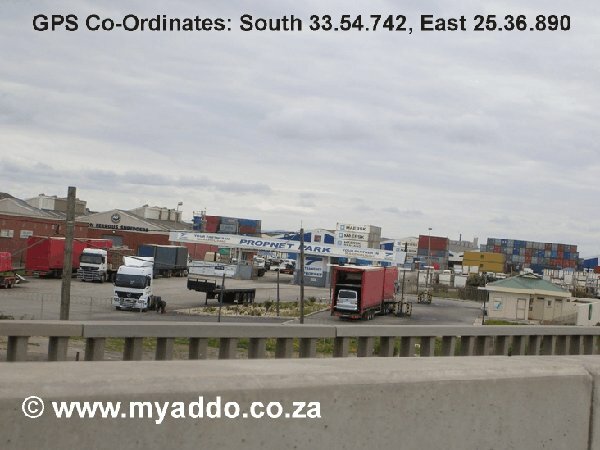 Carry on with the N2 past the Algorax Carbon Plant and Sewerage Treatment works on your left hand side and New Brighton Beach on the Right Hand Side. 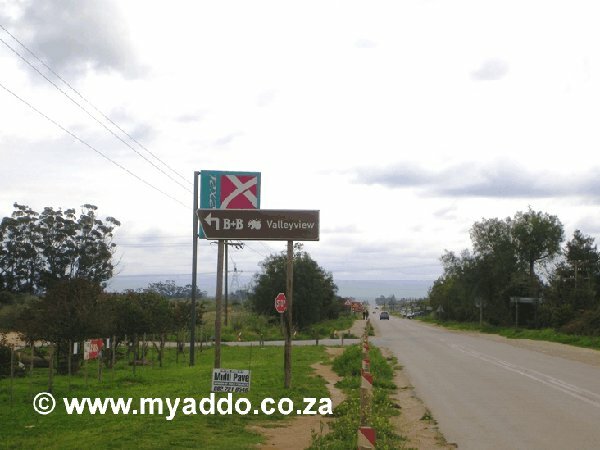 You will go over the Swartkops River with the suburbs of Amsterdamhoek on you Left Hand Side and Bluewater Bay on both the left and right hand sides. 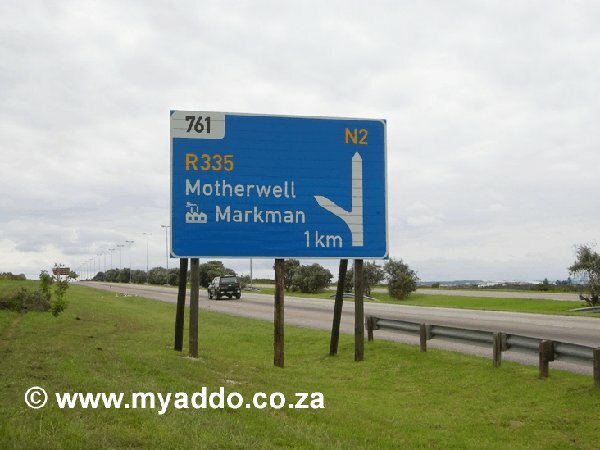 The Motherwell / Markman turn after the Bluewater Bay exit is the one that you are aiming for. 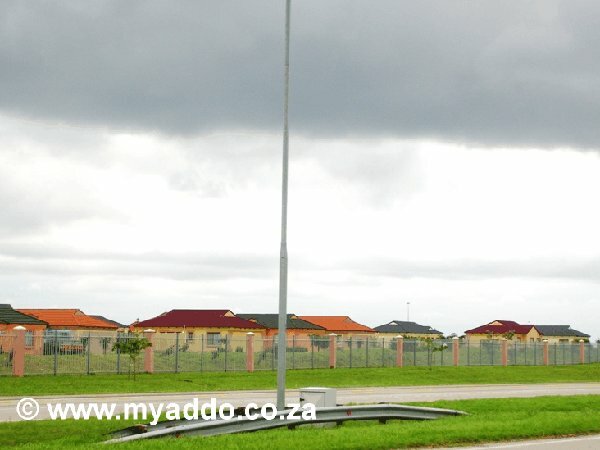 Stay in the Left Hand Side Lane and look out for the Coega Development Housing Estate on your left hand side as you indicate to take the R335 / Motherwell / Markman exit. 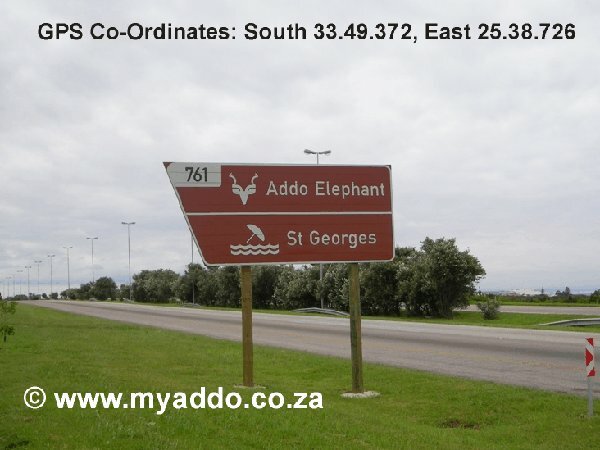 Look also for a sign saying Addo Elephant / St Georges. 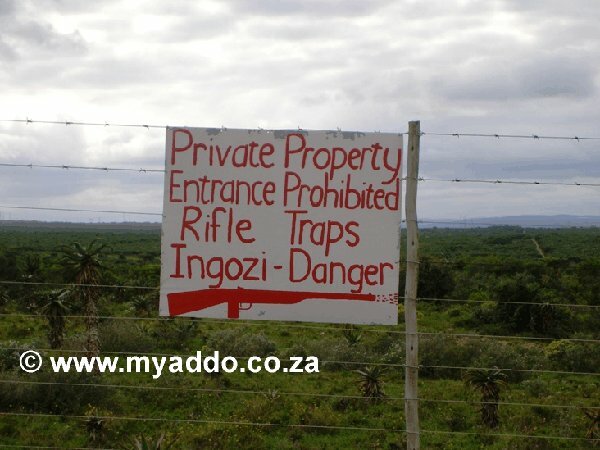 (GPS Co-Ordinates: South 33.49.372, East 25.38.726). 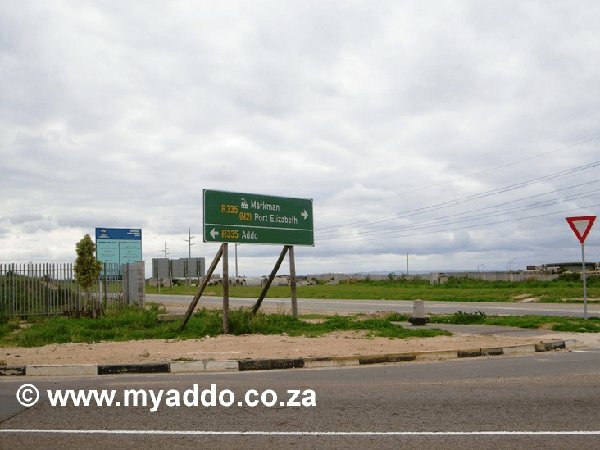 Stay in the left hand side and turn to the left onto the R335 which will take you through the industrial area of Markman and the Motherwell residential area. 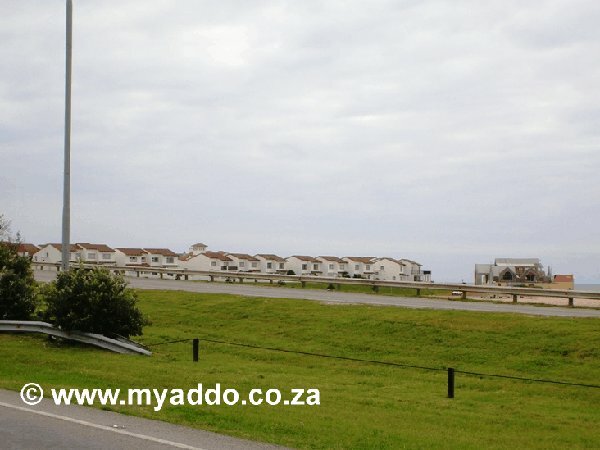 On your right hand side you will see a Total Truckers Inn and the entrance to the Coega Residential Park on your left hand side. 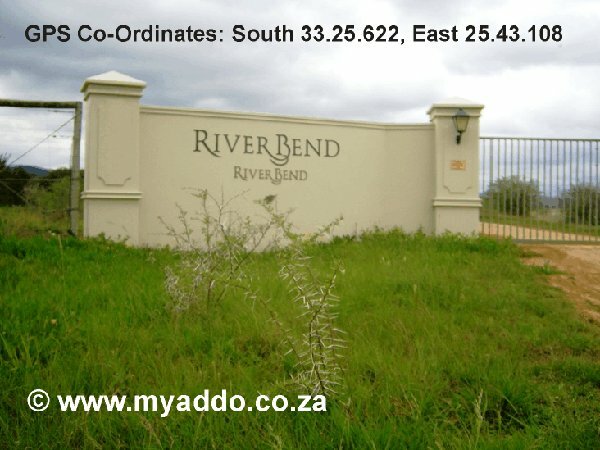 Look out for an informational sign, containing a cat’s paw print and displaying; “Sundays River Valley”. 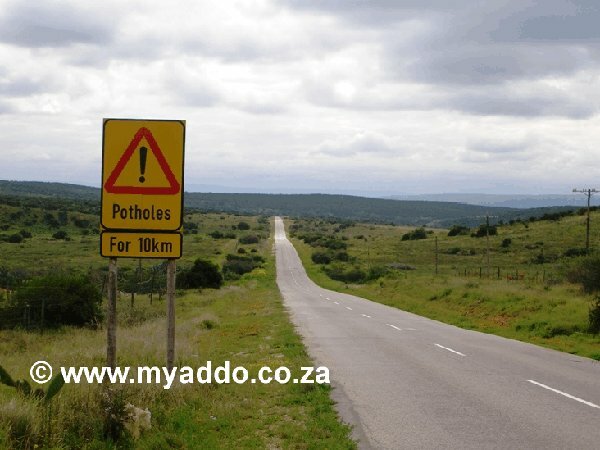 After leaving Markman and entering Motherwell look out for the speed bumps near to the two sets of traffic lights. 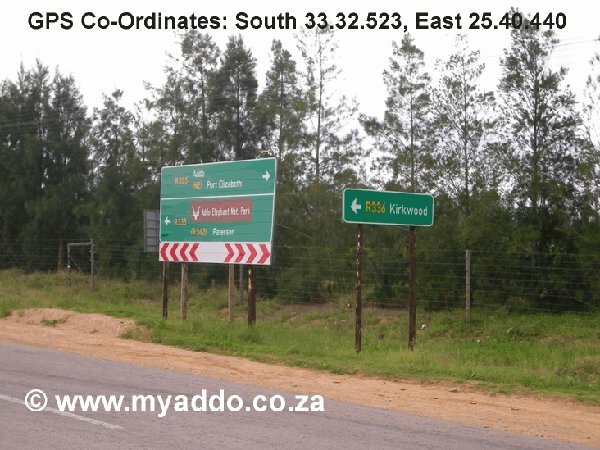 You will then pass the Motherwell suburb on the left and the Motherwell cemetery on your right, with the original Motherwell farmhouse before coming to the Uitenhage / Coega / Addo intersection at GPS Co-Ordinates: South 33.456.199, East 25.35.506. 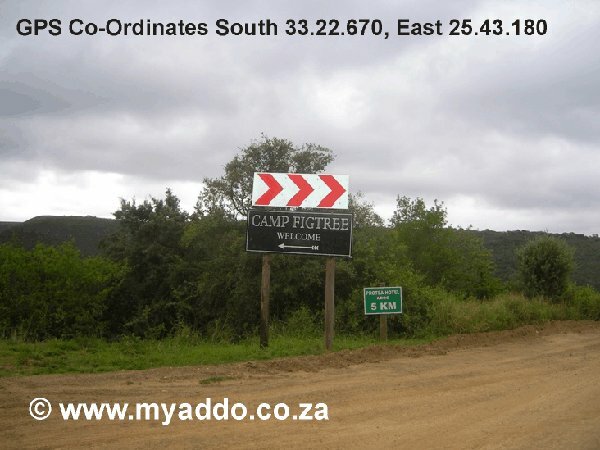 Carry straight on for about another 40 kilometres. 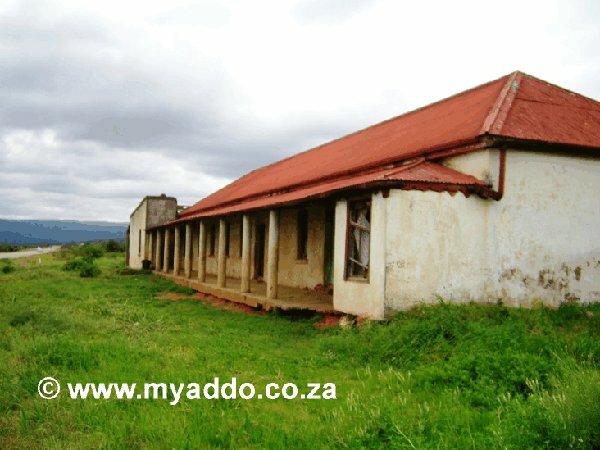 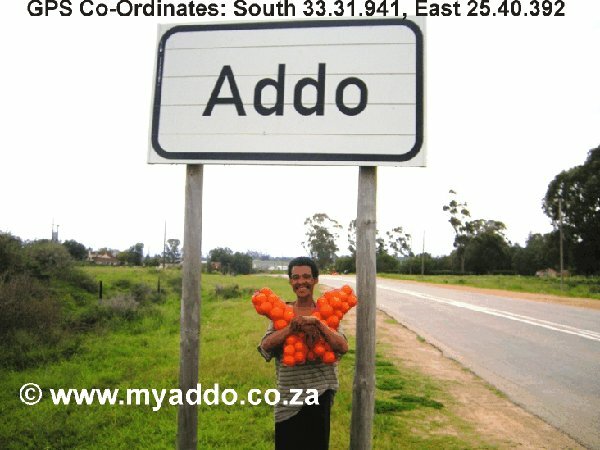 You are now around the corner from the town of Addo (GPS Co-Ordinates: South 33.31.941, East 25.40.392). 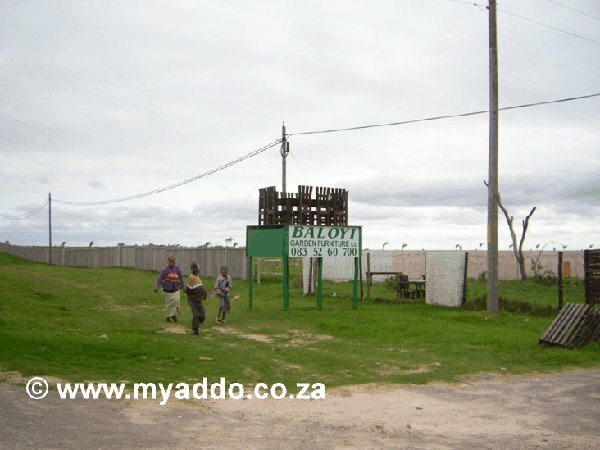 The actual town consists mainly of a bank, a few shops, petrol station and a police station. 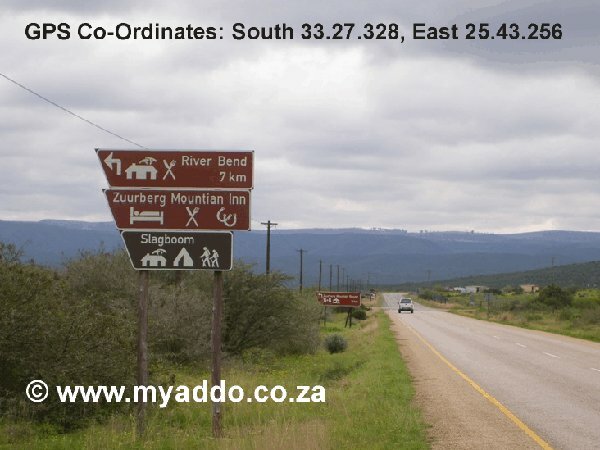 The Zuurberg Mountain Inn, River Bend Lodge, Tatenda and Camp Fig Tree turnoff to your left (GPS Co-Ordinates: South 33.27.328, East 25.43.256). 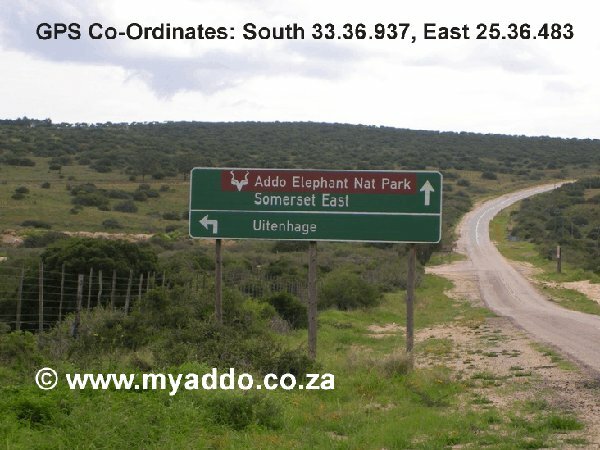 You now have 1.4 kilometres to go to get to the Addo Elephant Park entrance with GPS Co-Ordinates: South 33.26.735, East 25.43.785. 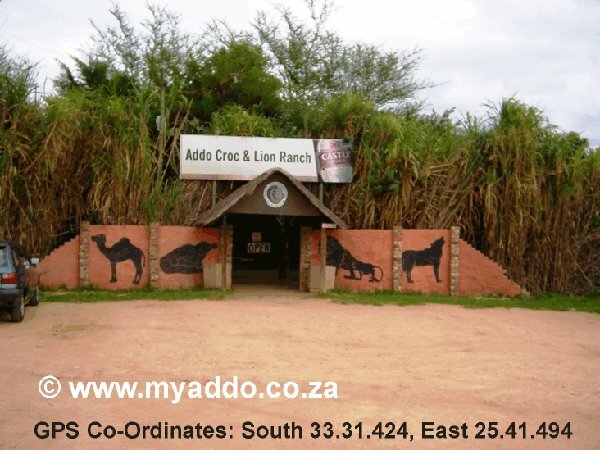 To get to the Zuurberg Inn, River Bend Lodge, Camp Fig Tree and Tatenda you take the turnoff 1.4 kilometres before the entrance to the Addo Elephant Park and follow the road which was the original Port Elizabeth to Johannesburg gravel road. 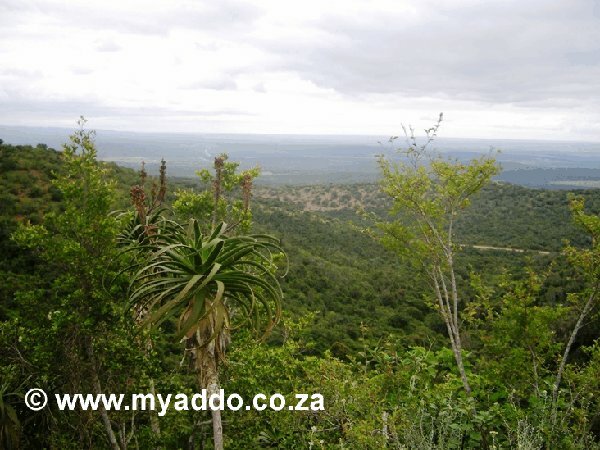 The Zuurberg Inn is 16 kilometres along this gravel road which incorporates a picturesque pass with breathtaking views as you climb the steep incline. 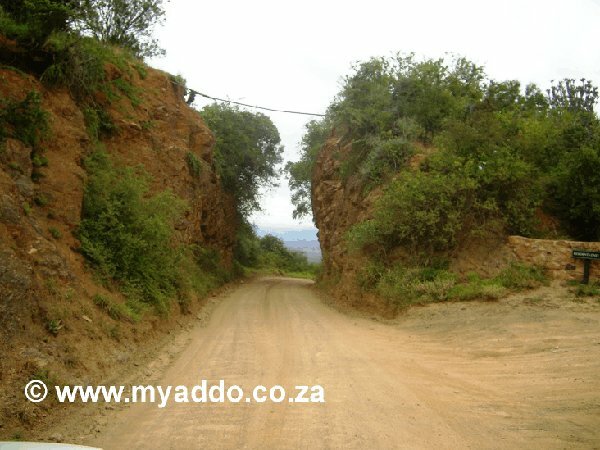 Look out for the unique section of the road that was blasted through the mountain.